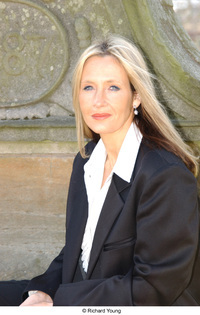 J. K. Rowling is an inspiration to any writer. Her talent and her perseverance took her from near poverty to billionaire status in just a few years. It was with great satisfaction that I saw that Harry was right after all in his assessment of one of the more mysterious characters of the series. It aligns with what I have written earlier. Make your judgments on the basis of what you yourself observe, no matter what your trusted advisors tell you. For those of you who take a more leisurely approach to reading Harry Potter books, you are in for a treat. The characters continue to develop in a satisfying way, but the pace of the story is as hectic as ever. My big complaint with JK Rowling is her eagerness to throw her weight around via lawsuit. A bookseller releases books early, and she gets an injunction barring the hapless customers from reading the book before the official release date? That’s beyond absurd, and she completely lost my respect for it. here is a piece from jowlonsoftware forum “The Business Of software” and the topic was What Are Developers Looking For in a Job? We are a great company to work for but we want te be even better, the top choice for top developers. We want to know: What are developers looking for in a job? #1 – Do not say you need a top salary. We don’t have the money and quite frankly you’re not worth it any way because, well, you are a developer and that is menial labor. #2 – Do not say you need a private office with a door that closes. We value TEAMWORK and MANAGEMENT here. If your immediate supervisor can’t see you at all times, then how will he know if you are working? #3 – Do not say you require a training or book budget. We are looking for PROFESSIONALS who know their field and not students and amateurs who require books and additional training just to do the job we hired for. #4 – Do not say you want 9-5, weekends off, flex time, and/or more than 1 week vacation. This job requires DEDICATION and COMMITMENT, which lazy people who want short work hours don’t seem to understand. It’s time to pull togetehr to get the task done at crunch time and we have so many clients that crunch time is everyday, something a TRUE PROFFESSIONAL understands. I am pretty sure that the publisher is doing all the “Do not read before date” stuff for publicity reasons. For a few hundred bucks they get a hundred thousand dollars worth of free publicity, crazy but true. I really doubt Rowlings is that nuts. It’s only been what 6 years since she was on welfare, I doubt she’s forgotten that. Lilo, I hear you that is probably the most accurate summation of what a company wants for employees ever. And then they wonder why good talent is so hard to find. I keep getting advice like find a good company to work for and go after them, unfortunately I haven’t found one that doesn’t have that exact philosophy. Oh, bother. David, this is one time I disagree. I found Rowlings’ early work commendable. 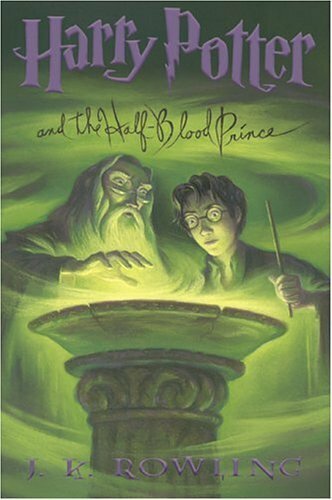 We (my children and I) were eager to read the second Harry Potter book after consuming the first. By the time the third book came along, we all agreed she had lost her touch. My son, wanting to continue his quest of reading all of the books, has bought this latet edition, but the girls and I — we think the series is overrated. My opinion is that JK got lucky — Harry Potter is no better than dozens of other children’s books — which never made the splash Scholastic is making with JK’s books. For every HP book they promote, a well-deserving author who writes as well (maybe better) is being shuffled aside or ignored. I do not fault JK for this over-the-top hype being paid to her books. I applaud her handling of her fame. She’s embraced the high-power, high-press attention well…and has at least attempted to create her books with integrity. But, because Scholastic has complete control — she is merely a pen, nothing more, to them — her writing has suffered. Book 3 and beyond are jumbled chapters of someone struggling to produce what her editor wants. I tried to get through the last HP book, and finally had to put it down and give up. It did not engage me, nor did I find it remotely believable — in other words, I could not dispend my disbelief, which is the first goal in any fiction book. PR hype is selling these books — not good writing. I find that sad. And, JK isn’t the only “best-selling” author suffering from this dilemma. I look forward to the end of the Harry Potter saga…and to seeing what JK does next. I hope she uses her talent to break out of the box Scholastic has put her in. As to her providing inspiration — that is very true. We who aspire to large readerships (one who writes for public consumption wants a best-seller, no matter how much he or she may deny it), should be looking to JK Rowlings and her determination as inspiration. And, despite the fact that I’m not into her latest works, it’s nice to see kids reading. I do enjoy the news stories of JK reading out loud to children. So, please understand, I think JK Rowlings has writing talent — I just don’t think Harry Potter is worth a read after book 2. And, of course, that’s merely MHO. I,too, bogged down with Harry Potter but on book five. I’m hoping to try again though as my sister eagerly awaited book six. She’s too bright to be wrong. Besides I love the rags-to-riches story of JK Rowlings as much as Harry’s.